THANK YOU FOR YOUR INTEREST IN ISPO Open Innovation. You will shortly receiving an email to verify your data. After confirming your subscription you will receive the requested case study. You will shortly receiving an email to verify your data. After confirming your subscription you will receive the requested PDF about our community. You will shortly receiving an email to verify your data. After confirming your subscription you will receive the requested PDF about chances for Ingredient Brands. You will shortly receiving an email to verify your data. After confirming your subscription you will receive the requested whitepaper. We kindly ask you to fill out the form below to get our free case study. After completing the form you will receive the requested case study as PDF by email. PDF. After completing the form you will receive the requested PDF about our community by email. PDF. After completing the form you will receive the requested PDF about chances for Ingredient Brands by email. PDF. After completing the form you will receive the requested whitepaper by email. study. After completing the form you will receive the requested study as PDF by email. This field is mandatory. Please choose one option. This field is mandatory. Please fill it out. Please keep me up-to-date on topics about crowdsourcing. This field is mandatory. Please fill it out. I have read the data protection statement of Messe München and I agree to it. connects brands with passionate consumer experts to test, share and create ideas for sports products. The internet is redefining the relationship between consumers and companies. Consumers are becoming co-developers and enabling companies to change their perspective. How can you involve your customers in the development process and how can they become ambassadors for your product innovations? How does the sports industry change through digitalization? Which new customer relationships, services and business models emerge? The worldwide first crowd-study focusing on the digitalization of the sports industry provides the answers. The study is based on 615 interviews with users of the ISPO Open Innovation platform. From idea generation to testing the final products, ISPO Open Innovation enables cooperation with real consumers and experts from other industries. Tune your product development through crowdsourcing and get inspired by ideas and solutions from unexpected directions. With ISPO Open Innovation you can engage consumers very early in the product development process. Receive feedback and ideas on product features way ahead of the market rollout. 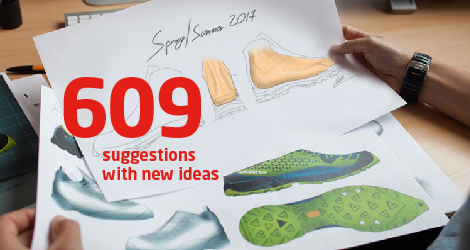 ISPO Open Innovation provides a platform to create and discuss new ideas. In closed projects, consumers and product developers can let their imagination run wild and create disruptive ideas. After all, it’s the consumer acceptance that matters. ISPO Open Innovation allows you to test your product prototypes with selected focus groups behind closed doors. Receive direct and detailed feedback from qualified testers and benefit from real consumer insights. Create powerful word-of-mouth marketing campaigns. 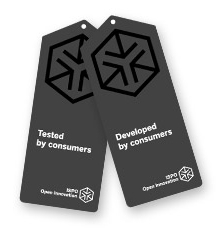 With product testings on ISPO Open Innovation you can turn consumers into brand ambassadors. Profit from authentic feedback and the social reach of handpicked consumer experts. Hiking footwear is what determines whether a tour is successful or not. If the shoe is uncomfortable the carefree experience quickly ends. Yet no foot is alike, and each sports enthusiast has different requirements for his or her equipment. This is the reason why Dachstein wants to develop a shoe that is flexible enough to adjust to the variety of requirements each individual user has. Over 450 international enthusiastic outdoor athletes and consumers developed together with Dachstein the individual hiking shoe within three phases. In the first phase a poll collects consumers’ expectations. What are the capabilities expected from a personal hiking shoe? During the second phase the top ideas were substantiated and improved. The third phase of the project dealt with marketing options for the shoe. What type of story could be told to promote the hiking shoe? By involving the community Dachstein received clear and useful suggestions and will be able to integrate these ideas into the ongoing development process for the perfect hiking shoe. Develop Generation Safety with MIPS! Convince the ‘Generation Fun’ to turn into the ‘Generation Safety’! The Swedish technology company MIPS wants to increase the awareness for more safety in sports and visualize its special helmet technology. Therefore MIPS wants to work on concepts for more awareness and an easy-to-understand representation of the MIPS technology. 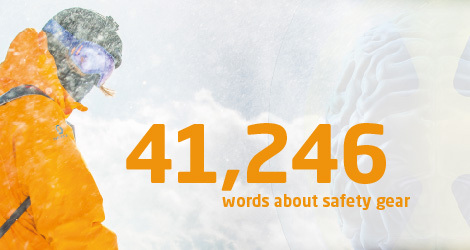 In three project phases MIPS asked the ISPO Open Innovation community about their safety awareness, their requirements for protective and safety equipment as well as potential marketing options for the MIPS technology. The project has increased awareness for safety gear and generated constructive ideas for the marketing of the MIPS technology. Testing of a Haglöfs jacket with an innovative insulation layer, engineered by TORAY! 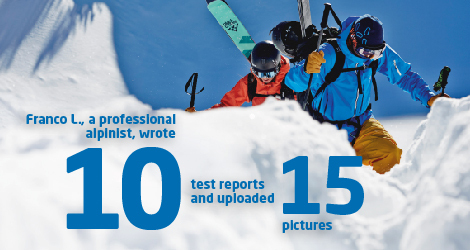 In cooperation with fiber manufacturer Toray, the Swedish outdoor expert Haglöfs developed a mountain sports jacket with an innovative insulation layer. On the ISPO Open Innovation platform the project should generate highly valuable consumer feedback on the prototype. Participants for the product test were recruited according to their favorite activities, their activity level and demographic factors. Upon receiving their Haglöfs jacket, the product testers were asked to test the mid-layer under different conditions and give feedback behind closed doors. 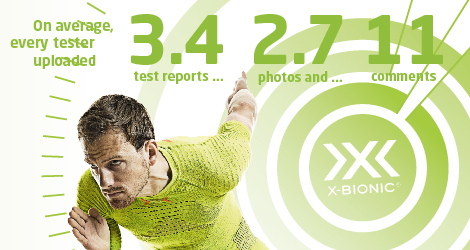 X-BIONIC® is presented as an open-minded and innovative company with a direct contact to ambitious runners. Furthermore, the product test delivers outstanding User Generated Content for future marketing activities. For the 3 phases of the project 100 tester have been recruited from the ISPO COMMUNITY, Social Networks as well as Fans and Followers of X-BIONIC® to test the „EFFEKTOR Running Set“. Within an open discussion testers give unfiltered feedback directly to X-BIONIC®’s Marketing and Product Development Department. Ambitious testers shared their test reports not just within the project platform, but also on their private social media channels and blogs. The fabric test validates the properties of a new technology and how it applies to the garment. Product testers interact on the ISPO Open Innovation platform to improve future collections of the new line. Participants for the product testing were recruited according to their favorite activities, their activity level and demographic factors. 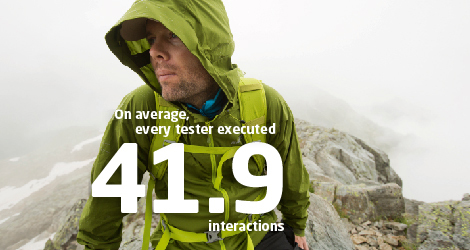 Upon receiving their personal Eidfjord Jacket, the product testers were asked to test the jacket in different conditions during various outdoor activities and to subsequently rate it in a questionnaire. The very engaged discussion among the community showed the high degree of interest in the subject of sustainability in outdoor apparel. Consumers expressed a high level of demand for functionality and design, as well as consistent implementation of the sustainability concept. Discover more about our community. Ingredient Brands are drivers of innovation and are leading the pack when it comes to new technologies. This is precisely why Open Innovation results in many different and new opportunities. Find out more about the benefits of ISPO Open Innovation, in particular for ingredient brands, and also about the successes achieved by TORAY.